BoP Service is a project aiming at creating new business opportunities and reducing poverty through innovative business enterprise together with the low-income individuals and communities at the Base of the Pyramid. The main objectives of the project are a) to create a new user-driven network promoting innovative and sustainable business enterprise, and b) to develop generic tools for entrepreneurial co-innovation. Pilot projects are implemented together with the Finnish companies, wider civil society and other stakeholders. 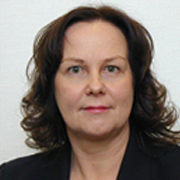 Teija Lehtonen, M.Sc. 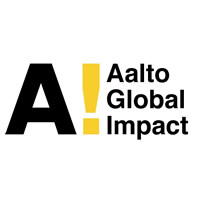 (Econ), works as a Development Director of the Aalto University School of Economics, and leads a BOP Service Project aiming at creating a multi-stakeholder network promoting innovative and sustainable business enterprise at the Base of the Pyramid (BOP) market. She is a former Managing Director of the Ramboll Finnconsult, a private consultancy firm focusing on development cooperation. She has extensive international experience in business development, leading multicultural teams with different technical backgrounds, productive capacity building, participatory methodology and evaluations of development cooperation agencies. Her long-term missions include South Asia region covering Afghanistan, Bangladesh, India, Nepal, Pakistan and Sri Lanka; Abkhazia/Georgia; Sierra Leone, Ivory Coast and Denmark, a total of 10 years. Ms. Lehtonen has deep understanding of the international development policy issues including human rights, gender and other cross-cutting themes.